[Review] Friendly staff, quick service, and good prices! 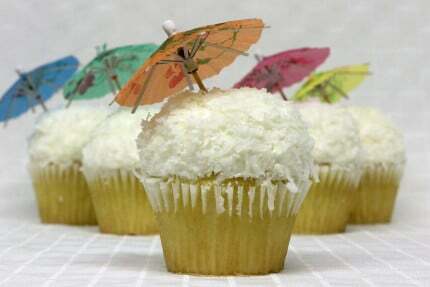 I absolutely LOVE their pina colada cupcakes! My staff has tried almost every kind they have, and we keep going back. Friendly staff, quick service, good prices, and excellent quality/taste! Gluten-free! That’s right, gluten-free cupcakes, and not just one lousy flavor, they have more than 8 delicious flavors. They are all so good and I can never choose just one! they are moist, and the frosting is so creamy and not too sweet. Everything about the taste is perfect. Customer service is great, they are simple and polite. Their menu is easy to identify what gluten-free options are available. They have vanilla cakes and chocolate cakes to choose from. My favorite is the eclair, it’s a vanilla cake with a chocolate frosting and some sort of vanilla pudding inside….brings me back to childhood and going to the donut store, but with way less sugar and no greasy filmy aftertaste. Try this bakery and experience your first real delicious gluten-free cupcake. It tastes like cake! I noticed they do custom orders which is great for weddings and events. Best bakery ever we drive from Huntington beach for the best gluten-free options around. The toppings are so good not to sweet or as sweet as you wanna go!!! Soft fluffy cake, yumm… Thank you! Thank you! Thank you! 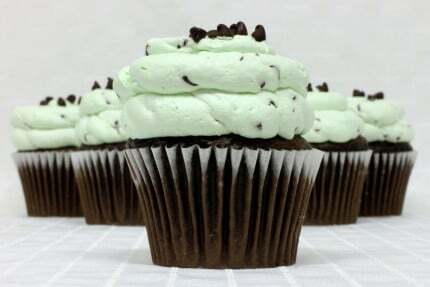 So… I only got to try the Mint Chip cupcake out of the box…. and to the gods of taste, it was perfectly balanced. The texture was light as well as the flavor. Not too sweet, but the impact of flavor was still there. The frosting and cream filling was perfectly light and well balanced with the amount of cupcake. I look forward to trying all their cupcakes. The experience of eating a perfectly made cupcake is stunning. Even Gordon Ramsay would be at a lost for words! The presentation was spot on. The cupcake looks perfect and tastes how it looks. I’m definitely going to gain some weight from this establishment. 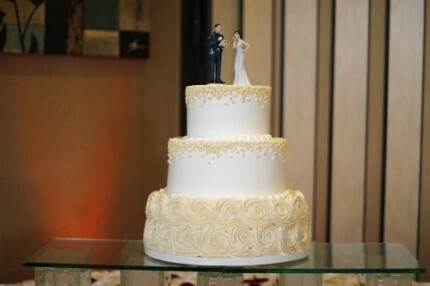 [Review] We loved our amazing wedding cake! I came here (finally!) after one of my friends recommended their cakes. I tried four of their cupcakes and was so surprised! 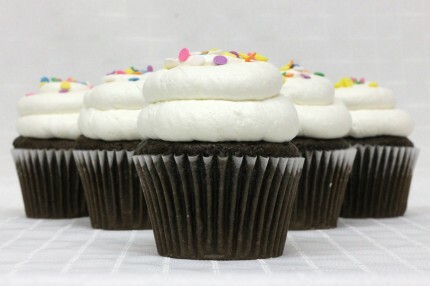 Their cupcakes are moist, delicious, and have just enough sweetness. Also, their cupcakes are filled inside with frosting! (talk about a fun surprise!) My husband is a huge fan of frosting in general (whereas, I am not), and he said that the frosting on these cupcakes was the best he’s ever tried! It was light, fluffy, and with the right amount of sweetness! I definitely recommend Patty’s Cakes for your dessert needs. 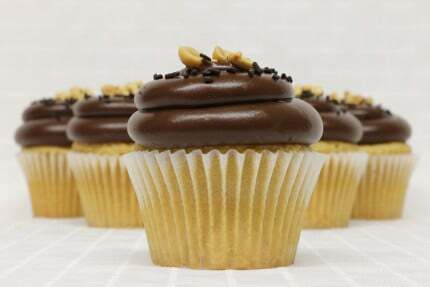 I really enjoyed the Peanut Butter cupcake (It tastes like Reese’s cup!). I love this bakery! We ordered a dozen cupcakes based solely on proximity to our house and Yelp reviews. It was a little strange ordering over the phone as a newbie because the person who took my order responded a little bit like they thought I knew things that weren’t obvious to me about the ordering process. However, that didn’t deter me from getting great customer service. When I went to pick up the cupcakes, the storefront was soooooo cute. It could’ve literally been off of the American Girl (doll collection) catalog. Everything was immaculate and the cakes and pastries in the glass were picture perfect. Once I saw my cupcake order, I knew I had to leave a glowing review. I also ordered some cake balls for my kids and hubby. They were really moist but had some girth. So I felt like I actually ate something – not like those ones at Starbucks. Needless to say, I’ll be back for the very next event. [Review] The cupcakes were a perfect cure for my sweet tooth! My first time visiting the store and it was a great one. I was looking for a slice of cake but the cupcakes cured my sweet tooth. They were light, fluffy and had just the right amount of sweetness. I look forward to my next visit. It was very hard to find a place to get a wedding cake to deliver to the hall that also has very good taste. The cake was really good and all the guests from the wedding loved it. From now on we will be getting cakes here no matter how far the drive is.